Citroën, ‘Inspired by You’ boasts over 100 years of creativity and high standards. It has a vision of becoming a global car maker on the leading edge of efficiency. Citroën has spirit embodied by unique design and a benchmark for comfortable cars. New Delhi/Chennai: The flagship vehicle, Citroën C5 Aircross SUV will be the first product released in the Indian market - the most comfortable model of its segment. It will be launched before the end of 2020. Groupe PSA has achieved another milestone by launching the Citroën brand in India. The announcement was made during the presentation of Groupe PSA’s financial results for FY2018 and the second phase of its strategic plan Push to Pass for the period 2019-2021. Groupe PSA is a French multinational manufacturer of automobiles and motorcycles sold under Peugeot, Citroën, DS, Opel and Vauxhall brands. Peugeot is the largest PSA brand in Europe and the world. Carlos Tavares, Chairman of the Managing Board, Groupe PSA, Ms Linda Jackson, Chief Executive Officer, Citroën Brand, Groupe PSA and Emmanuel Delay, Executive Vice President and Head of India-Pacific, Groupe PSA, Roland Bouchara, Senior Vice President Sales and Marketing, Citroën India, were present at the event. 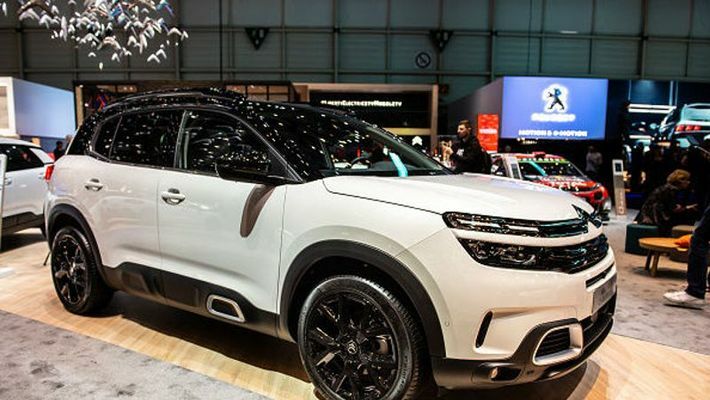 The flagship vehicle, Citroën C5 Aircross SUV, was also showcased at the event, and will be the first product from the Citroën brand for Indian customers, set to launch before the end of 2020. It was also announced that Citroën plans to bring in a range of products after the Citroën C5 Aircross SUV. These products will be made and launched in India before being introduced in other parts of the world. This new programme to be launched in India will come under the name of C Cubed, standing for Cool, Comfort and Clever. Cool to illustrate Citroën’s unique and bold designs, comfort to highlight the approach of global well-being to make all Citroën easy to use working on ergonomics and connectivity and clever to be at the heart of the market, developing highly localised cars to meet customer expectations around the world. This would be backed by the launch of a disruptive and seamless digital customer experience and a phygital distribution network. Present at the brand launch, Carlos Tavares, Chairman of the Managing Board, Groupe PSA, said, “India is an important next step for Groupe PSA, as part of the Push to Pass plan to increase our international footprint and revenues. With the introduction of Citroën, we aim to ‘be Indian in India’, and our association with the CK Birla Group will be essential to become a significant player in the Indian automotive market. Speaking about the brand, Ms Linda Jackson, Chief Executive Officer, Citroën Brand, Groupe PSA, said, “We are celebrating Citroën’s Centenary, 100 years of a brand which has constantly looked to the future of the automotive industry, by offering innovative solutions in line with the needs of each era. Globally, Citroën’s success is based on unique design, and benchmark comfort. Sharing his thoughts on the brand and region, Emmanuel Delay, Executive Vice President and Head of India-Pacific, Groupe PSA, said, “New technologies, modern production techniques and innovative designs have played a crucial role in developing the brand for which Citroën is known. As a new player in the Indian automotive market, we will stick to remaining committed to our philosophy of constantly looking to the future and setting high standards of innovation while continuing to build on the brand attributes. He also added, “India is a unique market and Indians are adopting new technologies at a very rapid pace. To support our range of unique new products and our in-depth study of the Indian market, we have planned for a unique customer experience, which will enable us to be the new digital reference for seamless customer experience in the Indian automotive market.